The United Nations University is an organ of the United Nations established by the General Assembly in 1972 to be an international of scholars engaged in research, advanced training, and the dissemination of knowledge related to the pressing global problems of human survival, development, and welfare. Its activities focus mainly on peace and conflict resolution, development in a changing world, and science and technology in relation to human welfare. The University operates through a worldwide network of research and post-graduate training centres, with its planning and co-ordinating headquarters in Tokyo, Japan. 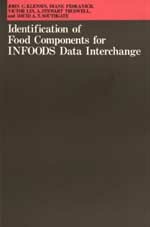 The International Food Data Systems Project (INFOODS) is a comprehensive effort, begun within the United Nations University's Food and Nutrition Programme, to improve data on the nutrient composition of foods from all parts of the world, with the goal of ensuring that eventually adequate and reliable data can be obtained and interpreted properly worldwide. At present in many cases such data do not exist or are incomplete, incompatible, and inaccessible. This volume is the second in a series that provide guidelines on the organization and content of food composition tables and data bases, methods for analysing foods and compiling those tables, and procedures for the accurate international interchange of the data. It presents a comprehensive system for identifying food components precisely, with unique tagnames designed for use in computer data bases, both for international data exchange and for the compilation of national food composition tables. John C. Klensin is Principal Research Scientist in the Center for International Studies and a member of the INFOODS Secretariat at the Massachusetts Institute of Technology, Cambridge, Massachusetts, USA. Diane Feskanich and Victor Lin are members of the INFOODS Secretariat at the Massachusetts Institute of Technology, Cambridge, Massachusetts, USA. A. Stewart Truswell is Boden Professor of Human Nutrition in the Biochemistry Department, University of Sydney, Sydney, Australia. David A. T. Southgate is Head, Nutrition and Food Quality Division, AFRC Food Research Institute, Norwich Laboratory, Norwich, United Kingdom.